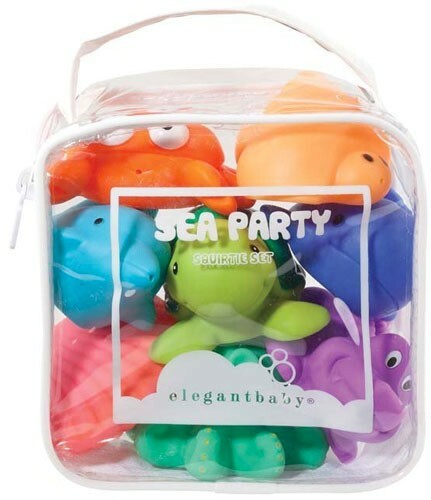 Give this wonderful set of bath toys from Elegant Baby and your kids will never want to leave the tub! 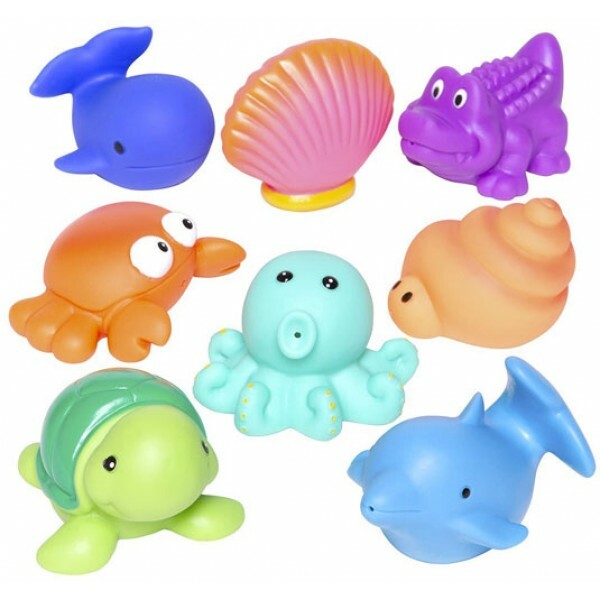 This set of eight brightly colored bath squirt toys includes a whale, octopus, turtle, crab, dolphin, alligator, clam and a hermit crab. 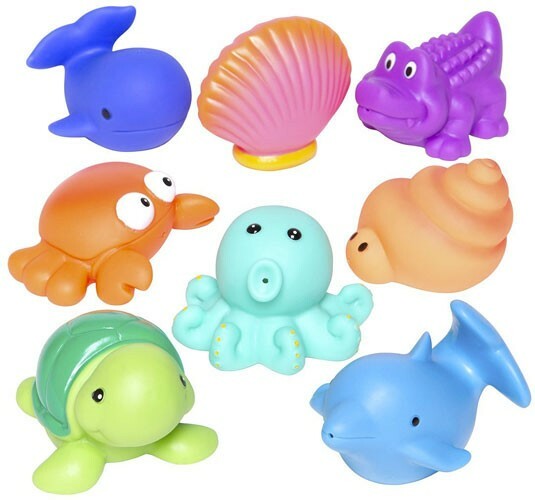 Parents will love the nontoxic paint and phthalate-free PVC, because it's totally safe for kids. Packaged in a vinyl zip bag with drainage holes for neat and easy storage and cleanup, it makes a fantastic baby shower or birthday gift. For style conscious parents, Elegant Baby is the source for baby gear with the best quality, craftsmanship and tradition at an affordable price.